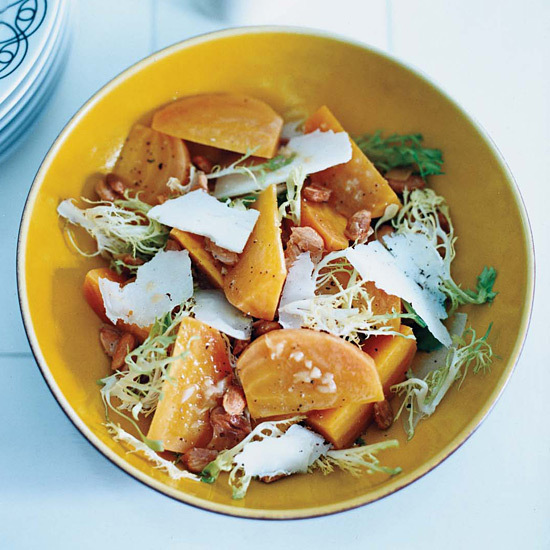 These nutty, nutrient-rich recipes include a beet salad with candied Marcona almonds and smoked almond brittle. Inspired by the candied nuts sold at carts throughout New York City, these not-too-sweet toasted almonds have a great crackly shell. 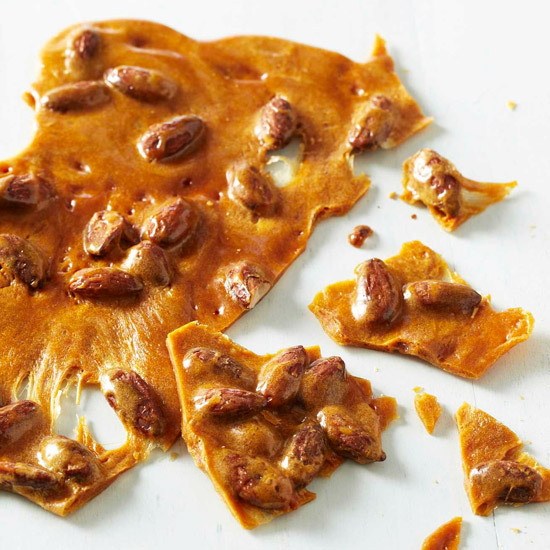 This clever sweet-and-savory brittle gets its unusual flavor from smoked almonds. The texture is light, crisp and almost honeycomb-like. 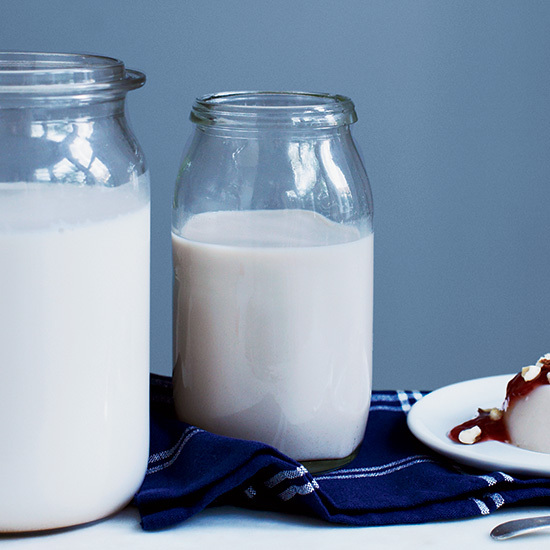 This surprisingly easy-to-make almond milk contains dates and cinnamon, which lend just a hint of sweetness without covering up the pure, clean almond flavor. 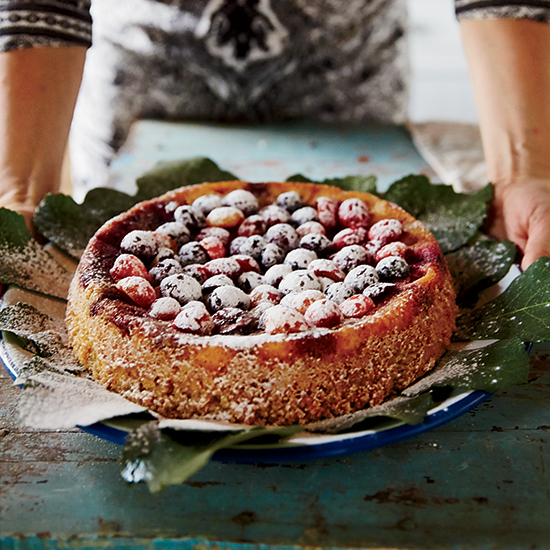 Tara Stevens bakes berries into this exceptionally nutty cake to add sweetness. Chef Tom Colicchio, the head judge of Bravo's Top Chef, has made his restaurant Craft into a huge brand, which has helped his colleagues share in the limelight. 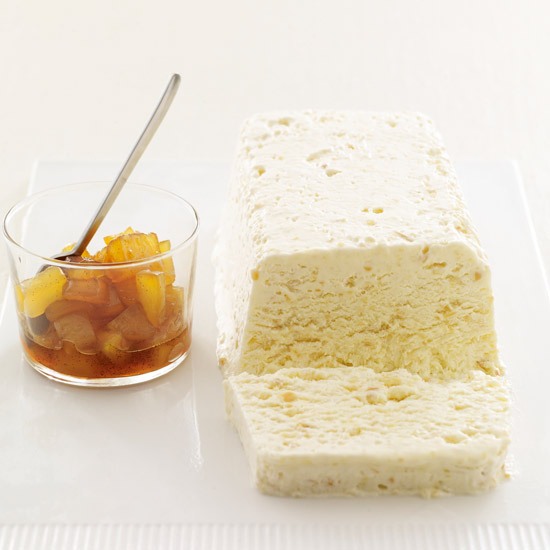 Karen DeMasco, who cowrote The Craft of Baking with cookbook author Mindy Fox, is the former pastry chef at Craft and is known for recipes that are classically elegant yet approachable, like this supercreamy almond semifreddo ("half-frozen") topped with warm caramelized apples. 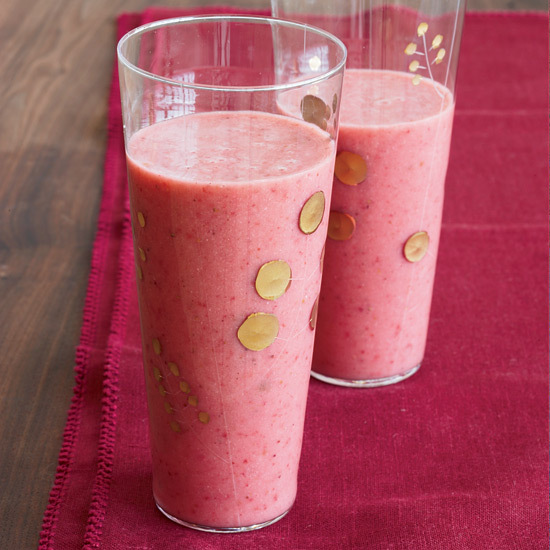 Although coconut water is low in sugar, it imparts a lovely sweetness to this dairy-free smoothie. 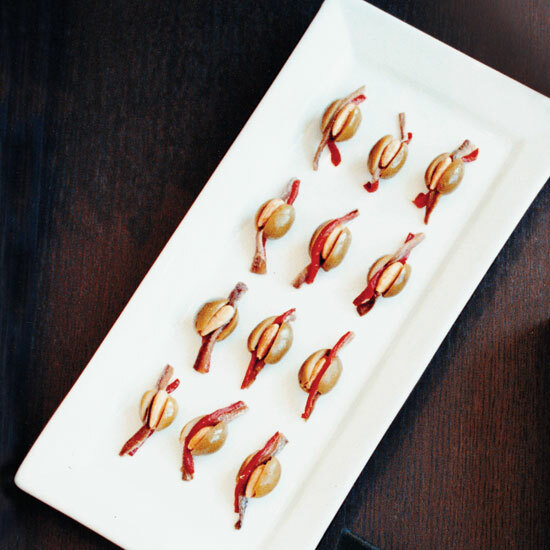 "For me there is no better tapa than a really good stuffed olive," José Andrés says. He strongly recommends homemade stuffed olives over the store-bought kind, which he proclaims are "usually terrible." Plus, if you stuff them yourself, you’ve got a million options: "If you love almonds, use good marcona almonds. If you love anchovy, use good Spanish anchovies. If you love peppers, use peppers; I like the wood-roasted piquillo peppers from Navarra. Or if you are like me, you use all three." 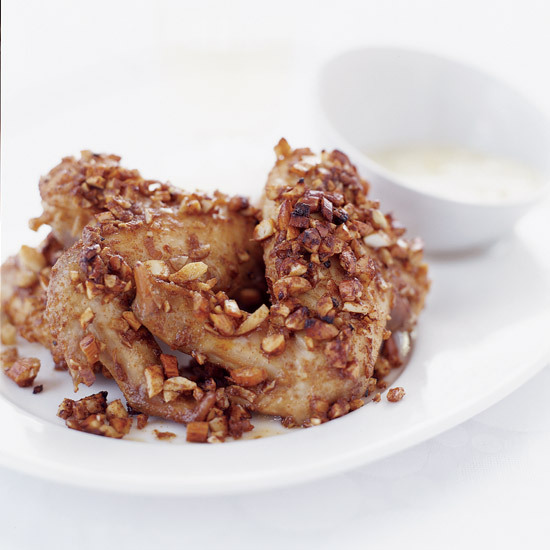 Andy Nusser says these wings, coated with crunchy chopped almonds, are a favorite Casa Mono staff meal. 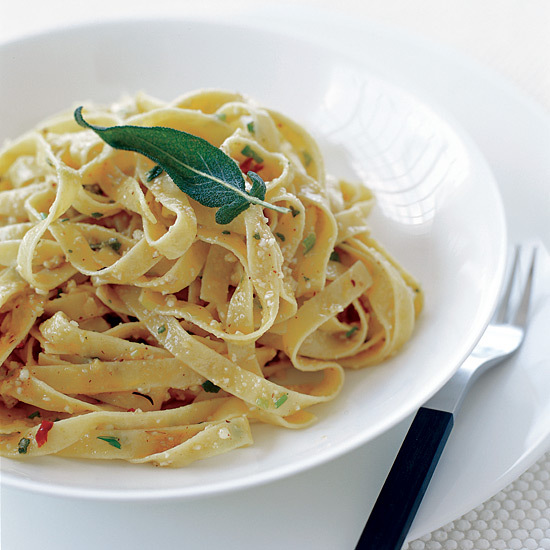 He serves them with a superfast lemon aioli, a mix of store-bought mayonnaise, grated lemon zest and fresh lemon juice. "I’m more addicted to chocolate than I am to sugar," says chocolatier Jacques Torres. 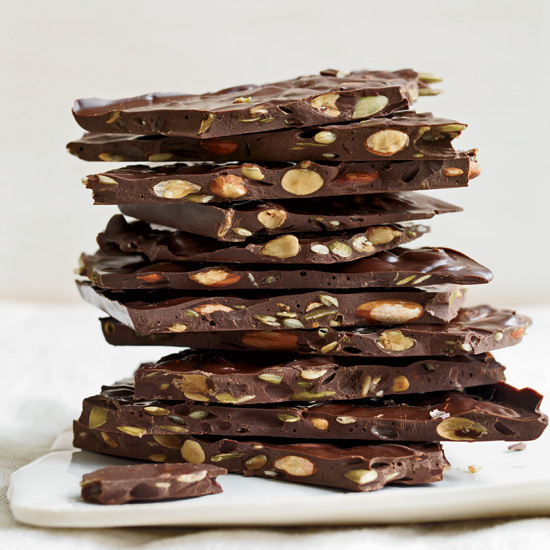 A small piece of this super-chunky dark-chocolate bark staves off his intense cravings. 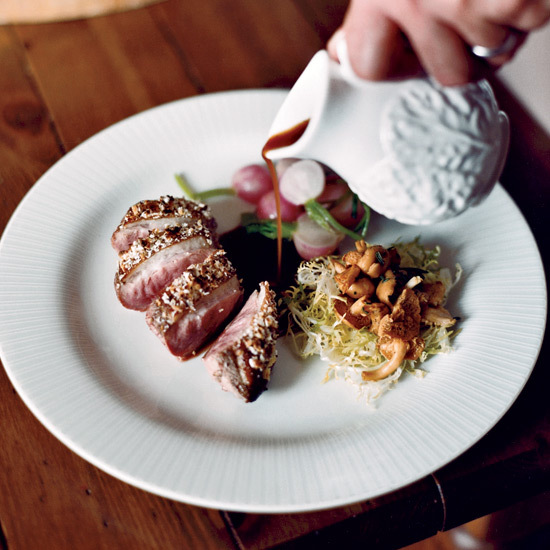 Duck is often paired with something sweet, as in canard à l’orange. Jean-Georges Vongerichten tops it here with chopped sugar-coated almonds. The sugar burns slightly as the meat is broiled to form a bittersweet crust that pairs beautifully with the juicy richness of the duck. 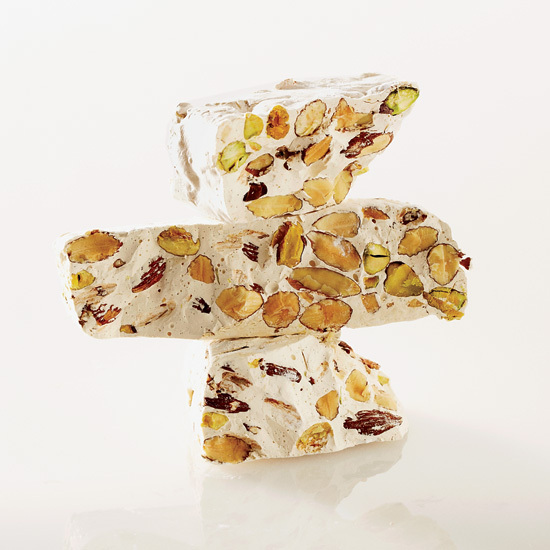 Didier Murat sells his Vadeboncoeur nougat at Vergennes Laundry and local specialty food shops. For best results, keep the mixer with the egg whites close to the stove so you can work quickly. Steve Corry loves to toss roasted beets with the complex sherry vinegar that Taylor Griffin imports from Spain. To help mellow the vinegar’s tang, Corry reduces tangerine juice to a syrup and adds it to the dressing. Inspired by peanut brittle, he candies marcona almonds to give the salad crunch. The nuts are fantastic on their own. 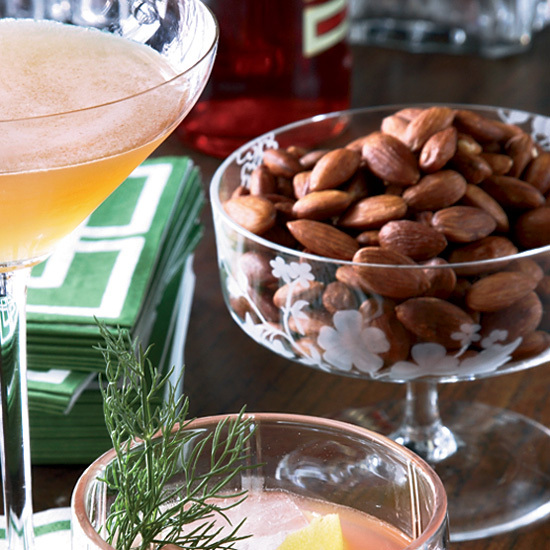 These Asian-flavored almonds make the perfect snack at a cocktail party. This rustic dessert is from the Lombardy region of Northern Italy, where it’s called sbrisolona. It’s crumbly, buttery and nutty; Suzanne Goin thinks of it as a cross between biscotti and shortbread. She recommends dipping chunks of it into the Champagne-spiked sabayon, an airy dessert sauce made with whipped egg yolks. 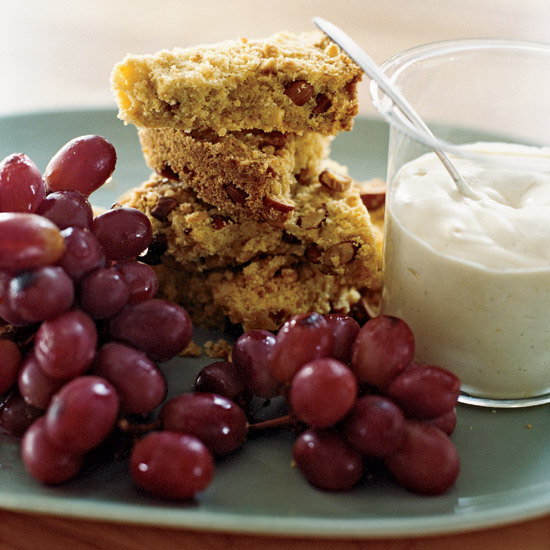 Using almond butter is a great shortcut for making this delicious spicy dish. Or try hazelnut butter for an earthier pesto. 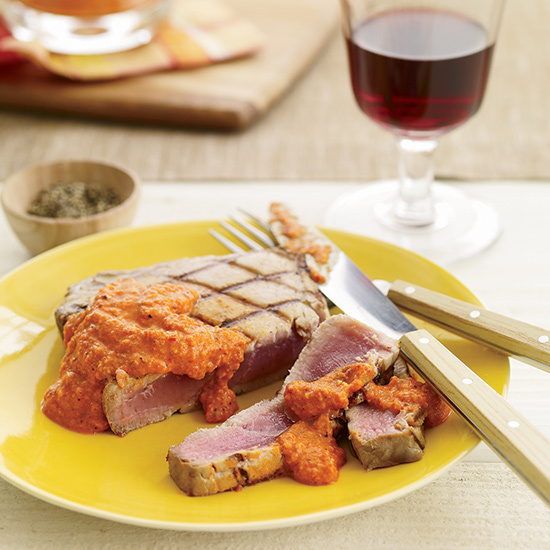 F&W’s Nick Fauchald adds fabulous smoky flavors to the Catalan sauce romesco by swapping in smoked almonds for the usual plain kind and adding a touch of pimentón de la Vera (powdered, smoked Spanish red peppers). For an unusual but exceptionally easy dessert, soften a pint of vanilla ice cream, mix it with ricotta and honey, and then refreeze it. 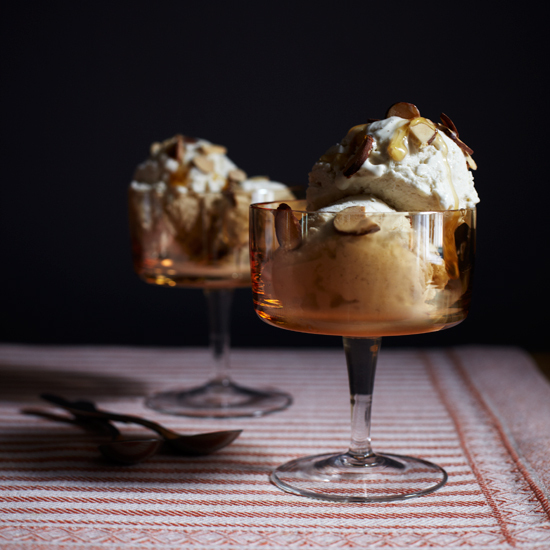 You'll want to use a premium brand of ice cream, since the quality of each ingredient is very apparent in this simple dessert. 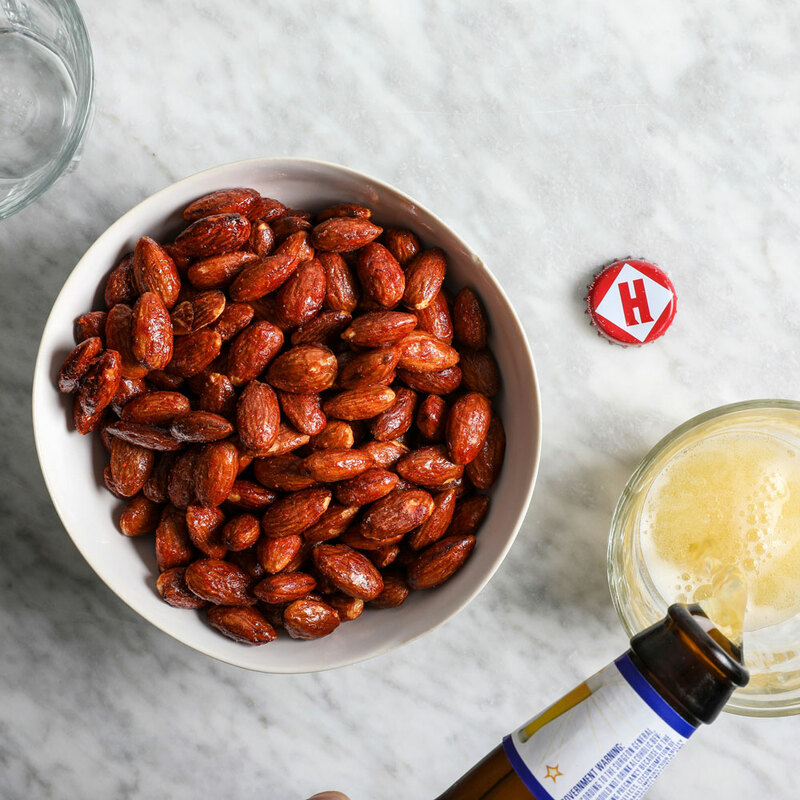 These cocktail almonds from New Orleans chef Martha Wiggins get plenty of heat from crushed red pepper.